IS H.E.M. ANKLE REHAB FREE? I understand that nothing is better than free, but I could not have afforded to create the H.E.M. Ankle Rehab system if it was free. This is my chosen profession and it is how I support my family. I have spent years training and studying and learning how to help people. My goal has always been to help people, first and foremost. And I have given up more lucrative opportunities to make a living under that basic principle. But, if H.E.M. 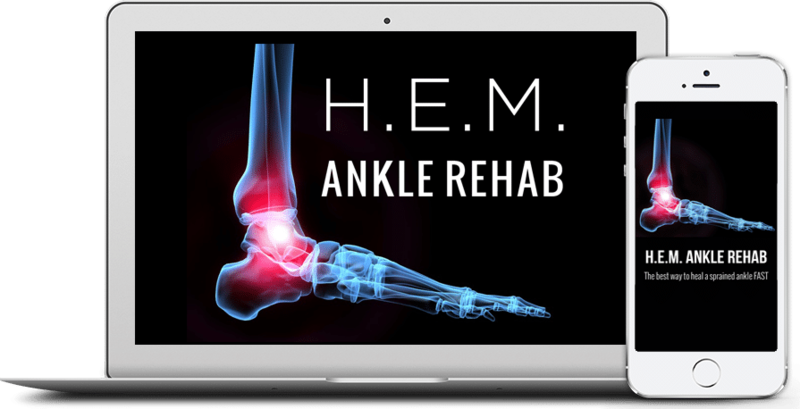 Ankle Rehab was free or available illegally as a free download, then it would cause me, the author and creator of H.E.M., irreparable damage. Let me put it this way… do you work for free? How would you feel if your employer or customers did not pay you for your work, because they prefer it to be free? Of course, we have seen the same thing in the music industry. But, in the end, who does illegal downloading really hurt? All of us as end users, because it forces creative people to shy away from providing the public with great products and content that makes our lives better. Supporting digital products, including ebooks, online videos, music, movies, etc. by paying for them ensures they will continue to be readily available to everyone. As of this date, there is no HEM Ankle Rehab free download and that is as it should be. Anyone who downloads the ebook for free is committing a crime. While that same person would probably never walk into a store and steal something, I can assure you that it is the same thing. I made sure to keep the price of HEM Ankle Rehab affordable for everyone. It is significantly cheaper than alternative treatment options. And, if you try it and feel unsatisfied for any reason at all, we have a no hassle refund policy within 2 business days. So, I sincerely hope you will appreciate my perspective and consider the value of H.E.M… I guarantee you will see great healing results for you sprained ankle or you will get 100% of your money back. We also offer unlimited support and a great forum where I personally answer all the questions. I have done my absolute best to provide you with incredible value for your hard earned money. Thank you for taking the time to read this article. I wish you all the best with healing your sprained ankle and hope you will give H.E.M. Ankle Rehab a try!